All of Ace Towers aerial work cages have built-in safe working load devices, safety harness attachment points, emergency stop controls, EDDs fitted and also wind speed gauges. Mounted on the platform is a display control station which provides an instant visual operating status of the complete machine. Additional features include extending and rotating cage, hydraulic tools fittings, Intercom, electric power outlets and water/air connects. Ace Tower Hire can provide additional accessories such as materials handling cranes for the lifting of material items which increases flexibility and efficiency on job sites. The lifting winch provides the operator with the ability to lift and lower suspended loads without moving the work basket cage, the material winch can be practical on many different types of projects. Also integrated into the work cage is a high angle multi-functional EWP access Rescue Stretcher for emergency casualty recovery at working heights.  Additionally Ace Tower boom lifts feature a secondary revolutionary fly jib that offers greater work bucket cage positioning when operating in tighter spaces or when clearing nearby challenging obstacles at unlimited heights. Unique working environments require unique industrial access solutions. Ace Tower Hire understands every client has its own demanding work environments, whether that’s assembling and servicing infrastructure within the international shipping terminal at Melbourne’s Wharfs or accessing wind turbines in the most remote parts of the country. Ace Tower Hire can deliver every imaginable kind of access solution and every administrative requirement. Our strong working relationship with the Italian manufactures of our plant ensures Ace can deliver site specific reach diagrams and the most precise load charts. Our client focus ensures Ace Tower Hire delivers the most appropriate access solution while minimising the impact on our clients core business; whether that is clients such as Melbourne’s Star Wheel or the Melbourne International Airport. We work with you to deliver the best result. Over decades of working on iconic infrastructure projects including the West Gate Bridge strengthening project, Bolte Bridge, Melbourne’s Shipping Port Control Centre and the Tullamarine Sound Tunnel Tube, Ace Tower continues to invest in our industry requirements and have all the documentation that is required at the highest levels. Ace Tower Hire's access equipment plant is used for all activities working at great heights. At Ace we offer a complete range of aerial work platforms including truck mounted platforms, spider lifts, ute mounted platforms, cherry pickers, boom lifts, crane hire, traffic control, all terrain platforms and under bridge inspection units. Ace Tower Hire's leading range of plants and equipment are routinely tested and mechanically serviced in line with industry standards. Our Head office is located in Melbourne, Victoria. Our extensive modern truck mounted fleet of aerial work platforms, also known as cherry pickers can now reach working heights from 8 meters up to 100 metres. If you are unsure about which aerial work platform best suits your application needs, simply phone our friendly staff or email an enquiry online on our website. Our aerial access equipment is amongst the newest in the marketplace, offering unmatched service, reducing downtime costs and improving customer value with lower environmental impacts whilst gaining a higher site safety environment. Our ongoing research and development is a key element in ensuring the we stay the forefront leaders in the high access market. Ace’s innovation and flexibility in the aerial work platform hire equipment area, makes us the number one choice for the customer with a guarantee of a high quality safety service level with the best economic height solution. The versatility of our staff and equipment enables us to provide a specialised service throughout Melbourne Victoria, also working with clients right across Australia in the power line and telecommunications industries. All of our hire units are up to date with the latest systems, certifications, documentation, processes and procedures creating a harm free workplace. Worksite inspections can be arranged by one of our highly experienced staff members, to give advice or a recommendation proposal to ensure the safest and most cost effective way for a job to be done, before works are undertaken . All Ace Cherry Pickers come with harnesses and restraining anchor points for all persons aloft. 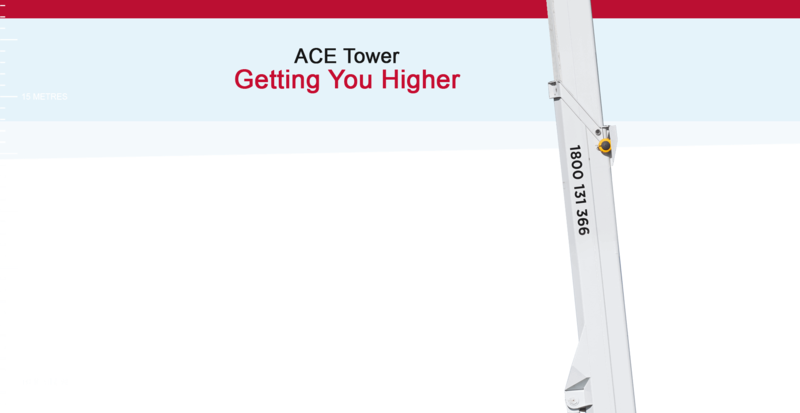 Ace’s boom lifts are fitted with a variety of safety features and emergency manual lowering devices which allows personnel and platform to be lowered to ground level safely in the event of a power or hydraulic failure. Our dedicated Ace team are available 24/7 365 days a year, all access plant rentals come with a fully trained operator. 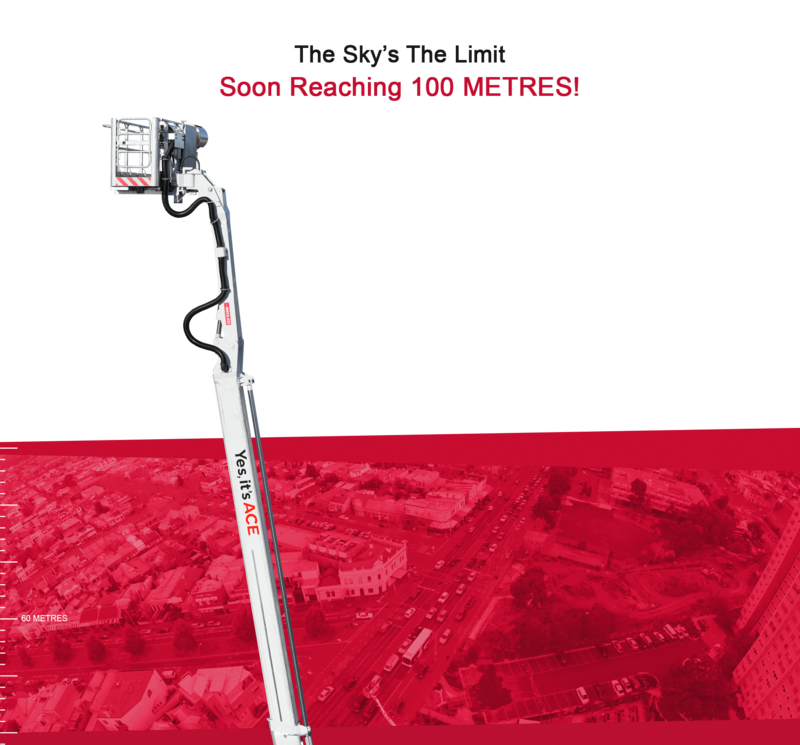 Ace Tower Hire units have specific features such as live multi-able outrigger configurations, automatic levelling and increased stabilizer stroke height for steep and difficult terrain. 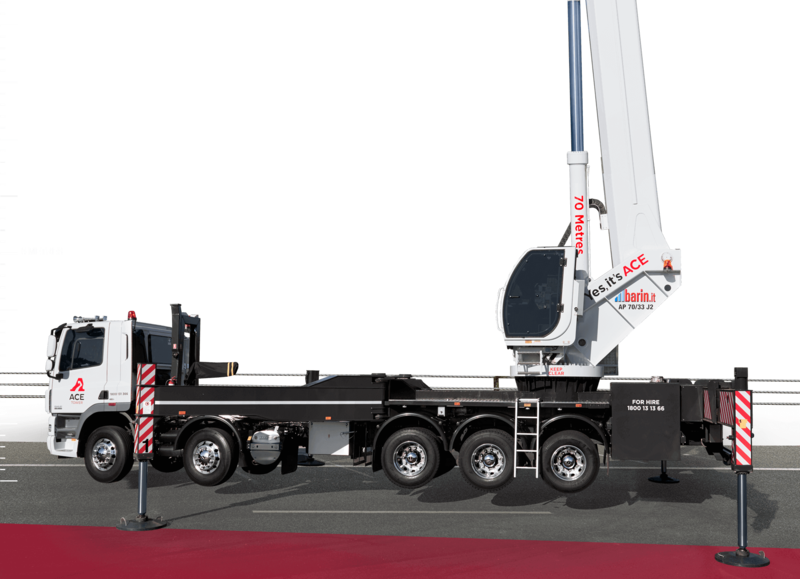 Ace Tower Hire truck mounted vehicles are among the largest elevating work platforms of their kind providing instant mobility travelling between work sites immediately without any delays as they don’t require separate towing or trailer transportation. Ace Tower Hire can provide aloft access for people and equipment at inaccessible areas. 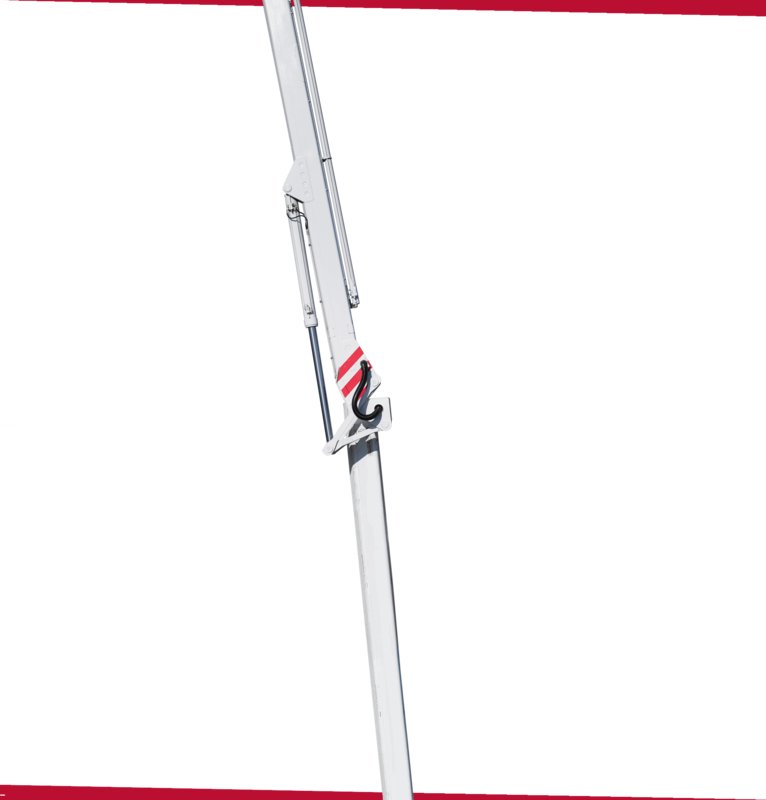 This is now used widely for all types of height construction and maintenance works.